Mold and mildew are two different types of fungi that quickly grow and spread wherever a protein source and moisture are found in your home. Flooding from a pipe burst, the water that settles after a fire, or even a defective HVAC system are all prime environments for the growth and spreading of mold and mildew. Permanently eliminating mold damage is not easy. Simple surface cleaning does not remove the hyphae (roots), and so it will appear that the problem is solved, but the mold will reappear time and time again. 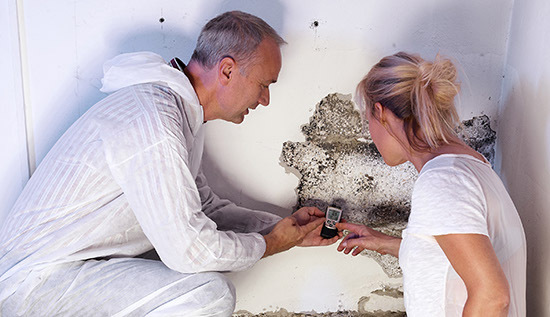 This particular aspect of mold growth and regeneration requires professional attention from a certified mold removal specialist. 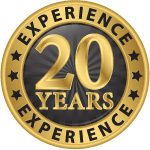 Allow our professionally trained technicians to take care of your mold or bacterial growth issues. 1. Mold grows and spreads as quickly: Mold has the potential to become a serious structural and health problem due to its rapid reproduction. Mold simply requires organic material, a source of moisture, and temperatures above 40 degrees fahrenheit. Surprisingly, it can grow in as little as one day when found in dark areas with little to no airflow or disruption. 2. Your home’s value can be destroyed by mold: Without dramatization, the value of your home and its marketability can suffer drastically when mold is an issue. Not to mention the structural damage it can cause if left unchecked. Homes with severe mold damage are difficult to market or sell, regardless of the price. 3. Cleaning visible mold with household cleaners doesn’t resolve the issue: Visible mold is the end result of a much deeper issue. Mold grows inside ducts, in and behind sheets of drywall, in fiberglass insulation, and even in the wooden framework of a home. Soot and dirt are often confused for mold, for this reason, testing is imperative to determine exactly what is happening. While nonporous surfaces may respond well to bleach or household cleaners, other porous material like carpeting, padding, and drywall harbor the spores deep within and may require complete replacement. Without eliminating the factors that propagate mold growth, it has the potential to – and will – grow back time and time again. 4. Cleaning mold is a health hazard: As some strains of mold contain carcinogenic and potentially deadly mycotoxins, it is imperative that these issues be treated with the utmost care. When agitated, moved, or brushed upon, mold spores are released into the air by the hundreds of thousands. One square foot of prime material with mold growth may contain upwards of one billion spores, and allergic reactions can be caused by 3-5 spores alone. 5. Professional equipment and certified training are critical for complete removal: The use of state-of-the-art detection and identification equipment are necessary to locate moisture sources, dry out affected areas, and remove mold safely from your home. Laboratory resources may be used in the analyzing and identification of strains posing a potentially toxic threat. Knowing which strain(s) of mold is(are) growing allows technicians to use the appropriate cleaning agents. Damp houses or homes with dark and moist areas are prone to mold growth, as mold grows robustly in places with excess moisture. Living in these environments may lead to the development of asthma, asthmatic attacks, and allergic reactions. Symptoms like these have the potential to last for weeks or months and worsen as time goes on. It is of the utmost importance that mold be dealt with before it reaches the capability of wreaking havoc on your home, your health, and the health of your family.